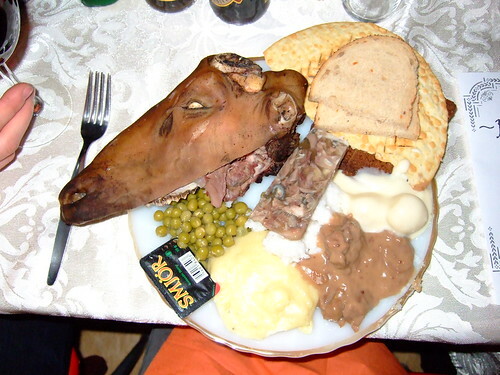 My buddies in Iceland are experiecing the festival of Porrablot, a feast of traditional and historic Iclelandic food. It features all kinds of cured meats and offal, many of which are at least partially putrified. The feast includes Hrútspungur (cured ram’s testicles), and Hákarl (fermented shark). According to my sources, the shark tastes like cat pee. To learn more, head over to Ameriskur.